Daily Deal Bazaar is giving Laptop Cleaning Kit worth Rs 150 for free but all you need to pay is shipping of Rs 29. This can be used to clean Laptop Screen, TFT or LCD Screen, Printer Screen and CD. 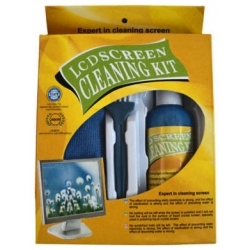 How to get Laptop Screen Cleaning Kit for just Rs 29? Pay Rs 29 as a shipping charges. Note: This offer will end on 12th June (11:59 P.M.) or when stock out. This is only for Delhi Readers. After Rs 50 off on Rs 100 & above, Yebhi is back with another great coupon code. Get Rs 400 off on purchase of Rs 1100 & above on all categories except Electronics. Its a great deal to buy already discounted products. How to get Rs 400 off on purchase of Rs 1100 & above? Note: This is only valid till Midnight ( 12th June 2012). Not Valid on Electronics. As we have posted Rs 50 off on purchase of Rs 100 coupon code of Yebhi, We have a good deal to buy. 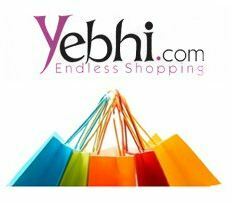 Yebhi is selling Women Capris worth Rs 599 @ just Rs 149 and you can use Rs 50 more off. How to buy Women's Capris worth Rs 599 @ Rs 99 only? Note: You can use Cash on Delivery to pay this amount. Yebhi is giving Rs 50 off coupon which is valid on purchase of Rs 100 & above. If you are looking to buy low value products from yebhi then this is the right time to buy. They have lots of products which are worth buying using this coupon. How to get Rs 50 off on purchase of Rs 100 and above?